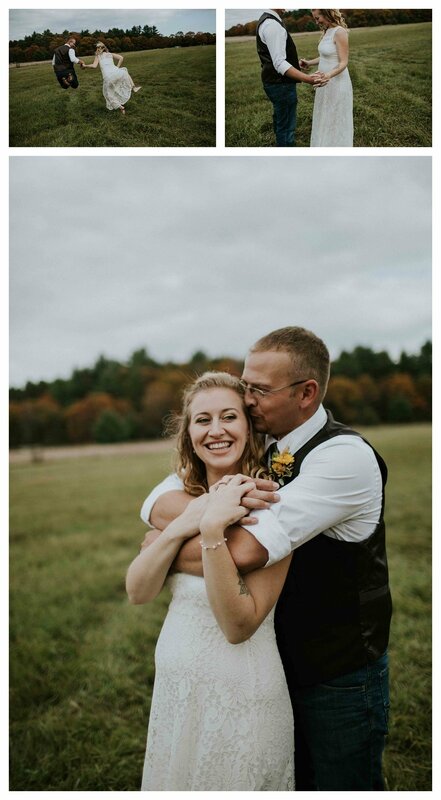 On the most beautiful fall day in October, Kelsey and Justin were married surrounded by their close friends and family. There was popcorn and pie and vintage cars and tons of adorable children. There was no tight schedule and no rushing around. Everyone just roamed around The Clauson Barn property. Guests were sitting in the grass relaxing in the sunshine. The kids were running around and picking flowers. 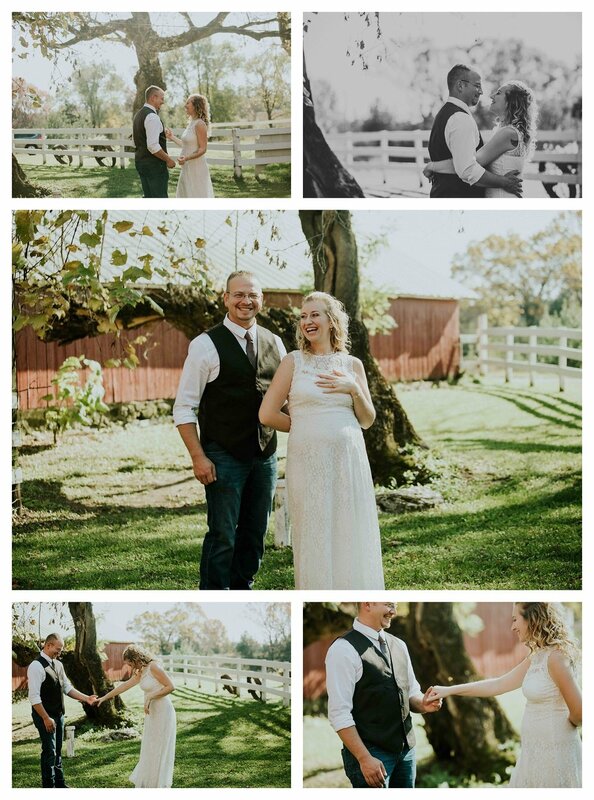 It was relaxed and fun and intimate and everything a barn wedding should be. Justin and Kelsey met because of Justin's daughter. I like to think that she was matchmaking the whole time. First looks are one of the most romantic parts of the wedding day. I mean Justin had already seen Kelsey's dress and they had talked throughout the morning but they were still so freaking excited to see each other. These two gave me all the time I wanted for portraits. I think it was mostly because they just wanted to hang out with each other. 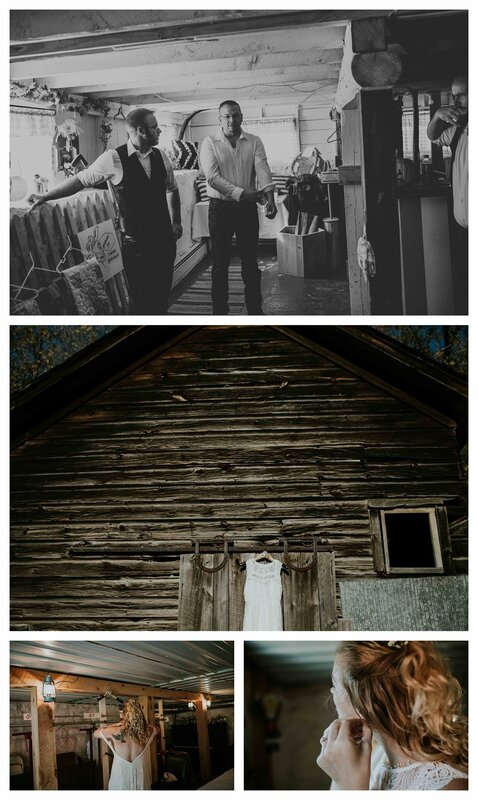 There were so many little spots at the Clauson Barn to take pictures. I'm smitten. Kelsey's dress was perfect for running through fields. Pie is definitely one of my love languages so when Kelsey told me their were opting for flaky crusts and fruit filling instead of a traditional cake I almost lost my mind. Future brides, take note! I might be biased but I think the light during fall in Wisconsin is the yummiest dreamiest light in the whole wide world. Kelsey wanted to be barefoot on her wedding so Justin happily carried her over any rough spots all day long. And personally I think that's some pretty great foreshadowing for their marriage. We ended the night with more pictures outside underneath some strung lights. Talk about dream clients and a perfect day.